Veteran banker and bond market specialist NS Venkatesh, who took over as the AMFI (Association of Mutual Funds in India ) chief late last month, expects the industry to continue to grow at a compounded annual rate of 20-25% over the next 3 years given the deepening financialisation of the economy. In his first interview after taking over as the head of AMFI, Mr. Venkatesh told PTI that hes very optimistic about growth prospectus of the MF industry as bank deposits to MF investments ratio here is very low at about 20%, while the global average is around 1.5 times of the former. 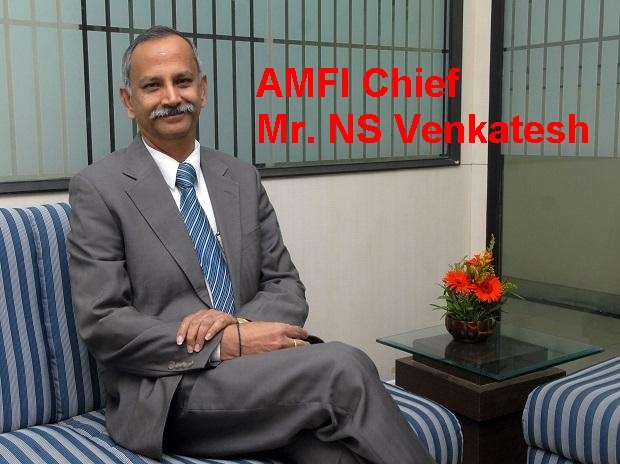 Mr. Venkatesh, who succeeded VR Rajendran at AMFI who had stepped down in December 2016, had spent two decades in IDBI Bank where his focus was treasury and international banking and the last two years at Lakshmi Vilas Bank as an executive director where he led the Chennai-based private lenders new-age transformation. "Growing financialisation of the economy, coupled with rising financial literacy levels, will ensure MFs will be able to maintain present growth momentum and post a CAGR of 20-25% in the next three years," Venkatesh said. As of August, bank deposits stood at Rs 108.8 trillion, while mutual funds AUM stood at Rs 20.59 trillion, which is only about 19%. The over Rs 20-trillion MF industry with 43 players has been witnessing rapid growth of late and AUMs touched Rs. 20.4 trillion in September, down 1% from Rs. 20.59 trillion in August, as per AMFI data. In FY17, AUMs soared 42% to Rs. 17.5 trillion over FY16, while in H1 of Fy18, it grew 33.82% to touch Rs 20.4 trillion. For the September quarter, total MF assets grew 7.6% to Rs 20.4 trillion. For the September quarter, net inflow was in excess of Rs. 1 trillion. "If the MFs industry continues to grow at the present scale, which I am sure it will, over the next two decades we can also catch up with our global peers in bank deposits to mutual fund investment ratio," he added. Known as the markets / treasury man, Venkatesh was a member of the RBI technical advisory panel on money markets, securities market & forex in 2011-16 when he also chaired the Fixed Income, Money Markets & Derivatives Association wherein he helped it become a self-regulatory organisation (SRO). When asked about his vision/plans for the MF industry, the 62-year-old said whatever he does will be to better serve customers/investors. Having played a key role in transforming IDBI into a commercial bank, Mr. Venkatesh was the first CEO of the IDBI Bank when it was a subsidiary of the infra lending parent till it was merged with the banking arm. Two years ago, he was roped by LVB to transform this traditional lender into a tech-savvy new-age lender by transforming the people,systems, products. He said he was successful in the last two and the third part is underway at LVB which on completion will take LVB to the next level. At the AMFI, he wants to make it a SRO to begin with, so that it can impart a better sense of purpose in the members and bring in more transparency which will ultimately help investors and also bring the cost down for them, he said. Mr. Venkatesh also wants to take AMFIs financial literacy drive to the next level so that more people invest in financial products through the MF route. Hell also focus on market development to help the industry achieve better scale across the country and not just the traditional Big 15 cities. He said the results of the literacy drive are already visible with non-B-15 cities witnessing rapid growth. For instance, there has been rapid growth in the Northeastern states with August showing a 66 per cent growth at Rs. 14,454 crore.